Microsoft responded to problems too late, according to developers. 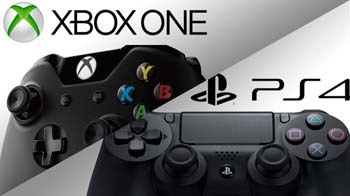 A group of anonymous developers tested the PS4 and Xbox One for comparisons and found that the PS4 is noticeably faster; memory reads are 40 to 50 percent faster on the PS4, Edge reports. The arithmetic logic unit (ALU), a component of a computer processor often important for graphics processing, is 50 percent faster on the PS4, as well. For example, one developer said that "without optimization for either console, a platform-agnostic development build can run at around 30 FPS in 1920x1080 on PS4, but it'll run at '20-something' FPS in 1600x900 on Xbox One." A developer concluded simply that the Xbox One is "weaker." Microsoft is quite aware of the issue. In response, the company has increased the clock speed of the Xbox One, but a developer believed that was insignificant. Another characterized Xbox One's graphics drivers as "horrible." A different developer explained the graphics lag because Microsoft "has been late on their drivers and that has been hurting them." However, the developers did say in some ways the Xbox One could be faster than the PS4. "Let's say you are using procedural generation or raytracing via parametric surfaces - that is, using a lot of memory writes and not much texturing or ALU - Xbox One will likely be faster." Microsoft and Sony are both encouraging developers to take advantage of unique features, such as Microsoft's Kinect and Sony's DualShock 4 touch pad, but developers admitted they may not do so. "Unless there's a good design reason or incentive, we rarely do."